In the Mile High City, air conditioning is more of a luxury than a necessity, especially compared to hotter, more humid climates across the nation. But that doesn't mean that Front Range homes can't benefit form the climate control that air conditioning in Denver has to offer. In fact, any resident of the metropolitan area knows that while you won't need to run your A/C but a few months out of the year, they can be a lifesaver during July and August, when triple digit readings on the thermometer are a regular occurrence. Read on for some helpful tips on choosing the best air conditioning system for your Denver-area home. We'll start with what most homeowners in Denver are primarily concerned with when the topic of installing air conditioning in Denver comes up: the cost of installation. HomeAdvisor tracks air conditioning installations in the Mile High City that originate as contractor referrals in our system, and based on that information, we can give a good idea of what you're likely to spend if installing A/C is on your to-do list. Based on our in-house research, an average central A/C installation along the Front Range runs about $3,950, though they can cost as much as $10,000, and as little as $1,400. That might sound like a pricey investment, but when you consider the comfort air conditioning provides, as well as the money you'll save by installing an energy-efficient unit, it can take some of the sting out of that final project cost. First and foremost, whether you're installing AC for the first time or replacing an older unit, it's important that you shop for a new A/C unit with energy efficiency in mind. According to the U.S. Department of Energy, air conditioners account for 5 percent of all energy use in the United States, and cost American homeowners a collective $11,000,000,000 (for those awed by the 9 zeroes, that's 11 billion) dollars per year. That being the case, any steps you can take to help reduce energy usage attributed to air conditioning will translate into substantial long term savings for you and your home. All air conditioners built after 2006 are required to maintain a SEER rating (Seasonal Energy Efficiency Ratio) of 13 or higher, and the higher the SEER rating, the more efficiently an air conditioning unit operates. According to U.S. Department of Energy, a unit with a SEER rating of 13 or higher will reduce energy cost by 30 to 50 percent over older models with SEER ratings as low as six or less, and will reduce energy consumption by 20 to 40 percent over the last generation of "energy-efficient" models with SEER ratings of 10 or more. If you look at your investment from the perspective of how much money you'll save over time, rather than how much you'll have to spend initially, it quickly becomes clear that replacing an older unit with a newer one, or installing an energy-efficient model from the get-go, will save you big money as the years roll by. Choosing a unit with a high SEER rating is a good first step, but it's not the only thing to consider when you install air conditioning in Denver. Proper sizing, making sure your ductwork is well insulated and compatible with a new unit, choosing between different types of air conditioners, and making certain your unit is installed correctly all play a huge role in ensuring your new unit will operate as efficiently as possible. Furthermore, taking extra measures like purchasing a unit with variable speed motors, or installing alternative cooling systems like a whole house fan (a smart move in a climate as mild as the Mile High City's), can help increase energy efficiency even more, and lead to a more homeowner-friendly air conditioning system once your new unit is installed. 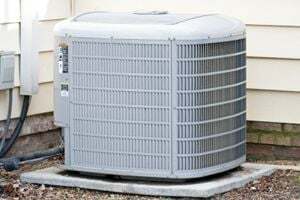 Knowing your p's and q's when you shop for an A/C unit is only the first step. The truth is that it won't matter how high the SEER level of your new unit is if it's not installed properly. That's why finding a qualified contractor to install your air conditioner is so important. Not only will they be able to advise you on SEER ratings and air conditioner design, but a good contractor will evaluate your home to make sure that your new A/C is the right size, installed correctly, and that all the ductwork and other delivery considerations have been taken into account ahead of time. It's the only way to be certain that your new air conditioning system will cool your home at the most efficient rate possible. Talk to a certified HVAC technician, or other air conditioning specialist, to find out what it's going to take to get your new A/C up and running in your Front Range home. Comment: Replace for new cooler on roof. Comment: We have a little Ranch style house with a AC on the roof, We kept it covered all winter. We went to turn it on today and it was making a really loud buzzing noise and rattling a bunch (unlike last year). We can hear it from inside the home under one of the vents. Comment: I would like to have a central air unit installed. This will need to include wiring to the thermostat as it is currently only wired for a furnace. Comment: AC is not cooling. Denver HVAC & Air Conditioning Contractors are rated 4.80 out of 5 based on 5,445 reviews of 129 pros. Not Looking for Air Conditioning Contractors in Denver, CO?